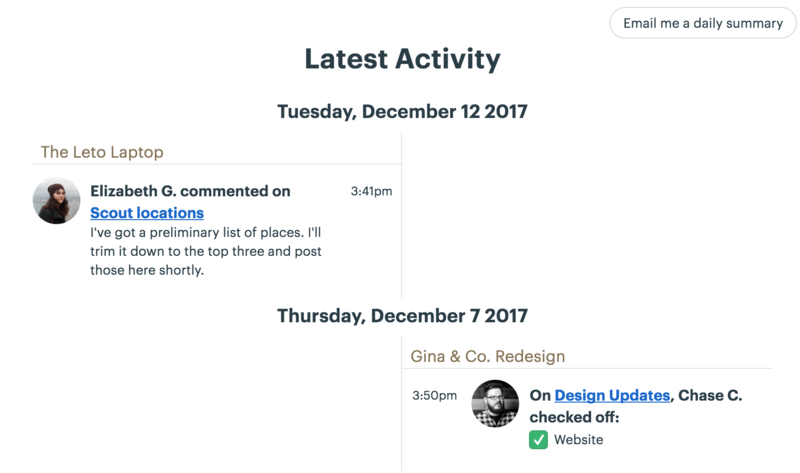 Below the tools in the Company HQ and every Project or Team, you'll see a timeline for the latest activity. Scroll down to load more history — every post has an author and a date/time stamp, so you can always scroll back in time to see who did what when! It's a great way to see what's fresh, bump into stuff you didn't know was going on, and even find things that happened recently (like a discussion that may have been buried in a to-do). The timeline is mobile-friendly as well — a great way to quickly dive in and see what's going on with a single scroll! 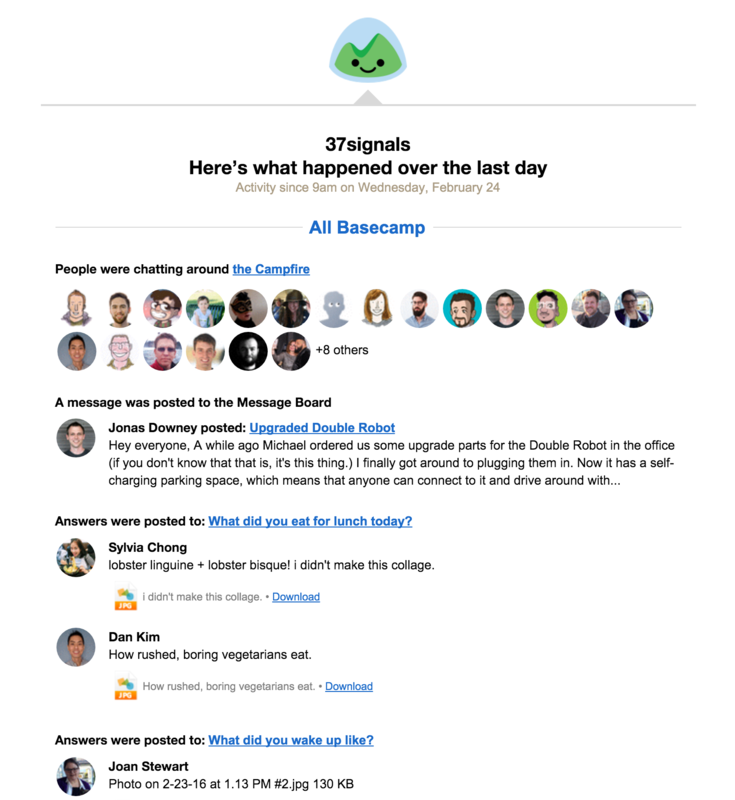 Basecamp will also send you a daily activity email every day at 9am. It summarizes everything that happened since 9am on the previous day. And as an extra bonus, your pinned Projects and Teams will show up at the top. If you'd like to turn off this daily email, you can just click the link to turn this email off at the bottom of the email. 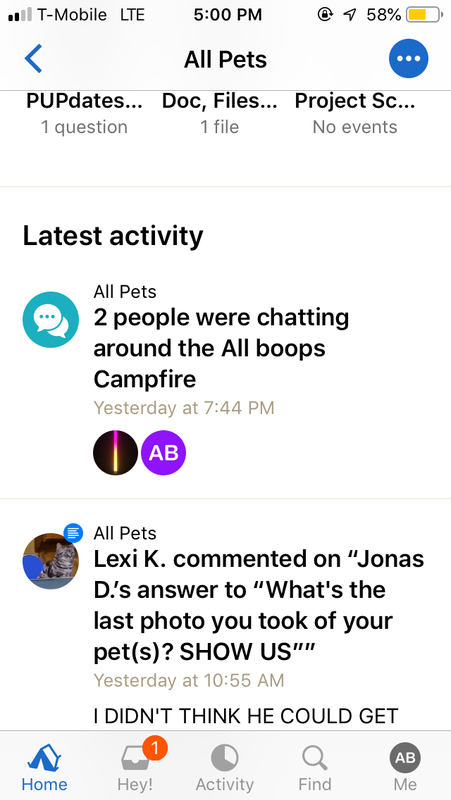 Or you can go to the Latest activity page and click on the button that says Emailing yesterday's activity every morning. Want it back? Just click the button again!